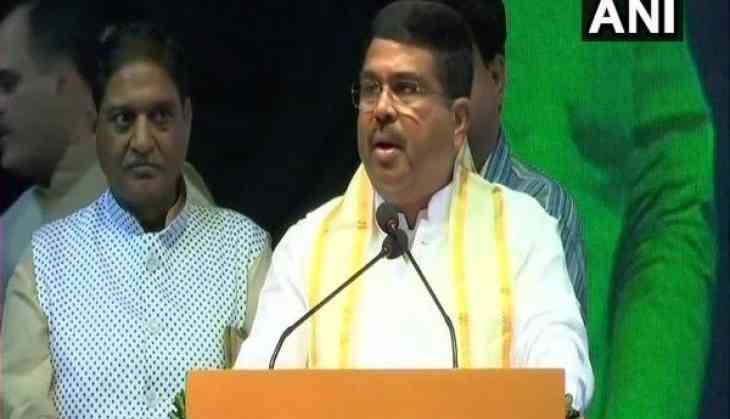 Union Minister Dharmendra Pradhan launched Pradhan Mantri Ujjwala Yojana (PMUY) scheme in Delhi and distributed new LPG connections and cylinders to beneficiaries here. "Nearly, 5 lakh women die every year from domestic pollution. We have gathered here to provide clean fuel to Delhi," Pradhan said while addressing the gathering. "This Pradhan Mantri Ujjwala Yojana has transformed the lives of more than 3.5 crore women fulfilling the vision of Prime Minister to provide clean cooking fuel to them and eliminating the health hazards," Pradhan added. Mahesh Giri, Member of Parliament, East Delhi, O P Sharma, MLA, Vishwas Nagar, Sanjiv Singh, Chairman, IndianOil, senior officials of the Ministry of Petroleum and Natural Gas, Oil Marketing Companies, women beneficiaries of the scheme among others were also present on the occasion.